Alzheimer’s disease is a widespread type of neurodegenerative dementia that mainly affects the elderly. Currently, this disease can only be treated palliatively. Existing drugs can only improve patients’ symptoms. The search for new drugs that can effectively treat this disease is an important field of research in medicinal chemistry. 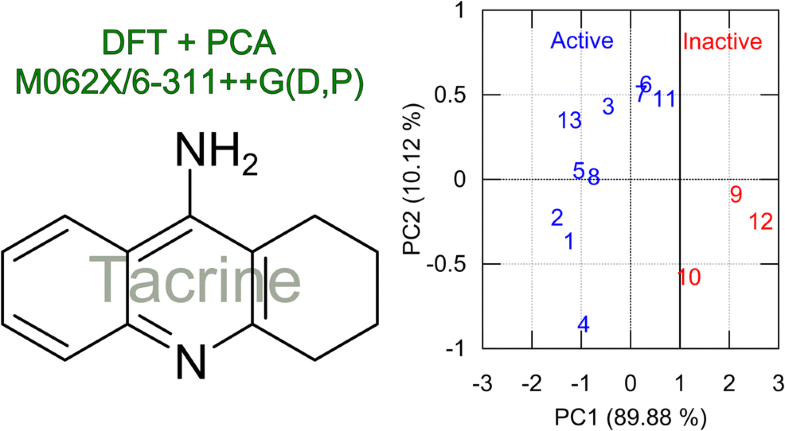 Here we report a structure–activity relationship study of tacrine and some of its analogues in relation to their inhibitory activities against Alzheimer’s disease. 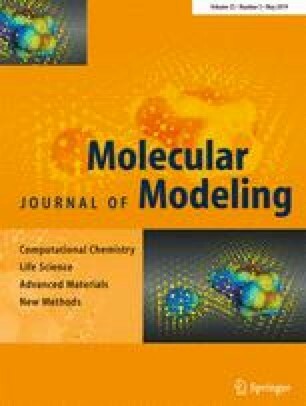 All of the molecular descriptors were calculated at the M062X/6–311++G(d,p) level of theory. Principal component analysis of the molecular descriptors showed that the compounds could be categorized into active and inactive compounds using just two descriptors: the HOMO and LUMO energies. 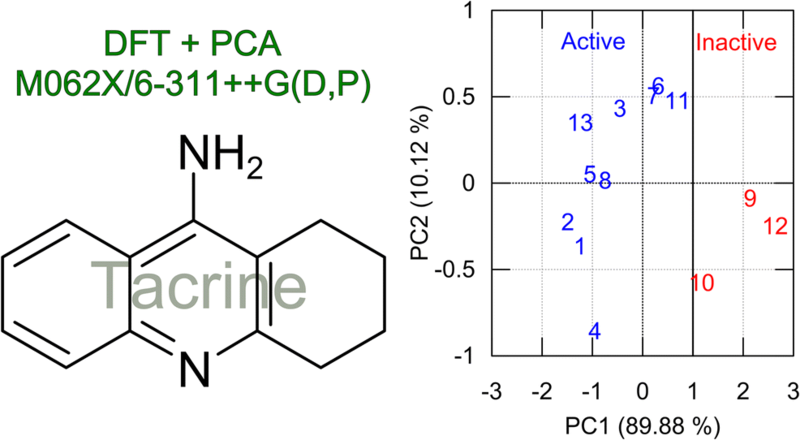 These results should help us to explain the activities of tacrine derivatives and to model new tacrine analogues that are active against Alzheimer’s disease. The authors acknowledge the Fund for Research Support of the State of Goiás (FAPEG) and the High-Performance Computing Center at the Universidade Estadual de Goiás (UEG).